NEWLYWED couples, parents of two little girls and four sisters are among the 20 people pronounced dead in a horrific limo crash in New York. The limo passengers were travelling to a 30th birthday party when the accident happened, killing all 18 people inside the limo and two other bystanders. The woman whose birthday it was, along with her three sisters, have been identified as those among the dead. Their names were Abigail Jackson, Mary Dyson, Allison King and Amy Steenburg. Their husbands also all died in the crash. Their aunt, Barbara Douglas, told the New York Post they were "beautiful girls". "They were beautiful girls, full of life. They had their whole lives ahead of them," she said. "One of them had two children. One of them had one child." Family have also confirmed husband and wife Erin and Shane McGowan, who were married in June, as victims. The limo blew a stop sign at the end of a highway and smashed into a parked SUV, in what has been the deadliest US transportation accident in almost a decade. The accident happened in Schoharie, which is about 270km north of New York City, on Saturday afternoon local time. 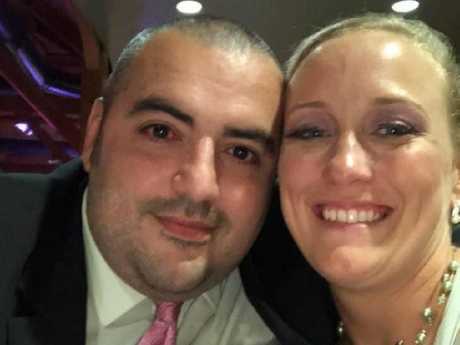 Anthony Vertucci, Erin's father, said the death of his daughter and her husband was an "unspeakable tragedy", as he shared photos on Facebook of their wedding day. "My heart has stopped," he wrote. "Unspeakable tragedy that I can't comprehend and will never come to terms with." Speaking through tears, Valerie Abeling, said her niece Erin, 34, and her husband Shane, 30, also paid tribute to the couple. "They had everything going for them." 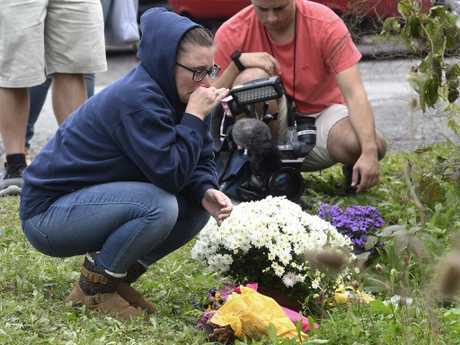 'Abby' Jackson, one of the sisters of the birthday girl, and her husband Adam, who are parents to a four-year-old and a 16-month old, were also killed. A GoFundMe page has been set up to help support their little girls, Archer and Elle, who have been orphaned after the tragedy. 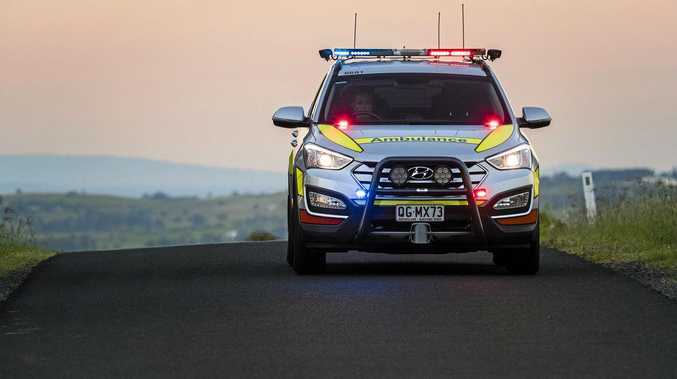 It has so far raised nearly $US7000 ($A9900) in eight hours. "Adam and Abby were amazing parents to these girls and taken much too soon," the GoFundMe page says. "While families will step in and provide loving care for these girls, there will be expenses that we can help with during this time when we otherwise feel so helpless." The collision happened when the 2001 Ford Excursion limousine ploughed into an unoccupied sport-utility vehicle in a parking lot across from the intersection after failing to stop at an intersection. The SUV-style stretch limo was speeding downhill when it smashed into the other vehicle, sending at least one of them careening into the parking lot of the Apple Barrel cafe, a popular spot for tourists taking in upstate's fall foliage, according to the Albany Times Union. "I heard a loud bang, [and] I came out my front door to see what was going on," resident Bridey Finnagen told the local news station. "I saw a lot of people here at the Apple Barrel out in the parking lot. Then I heard screaming. "Then I saw this large van, a very unusual looking vehicle out here in Schoharie, in the bushes and really wrecked, hit a tree," she continued. The crash kicked off a huge emergency response that included six ambulances, three fire companies and two helicopters, the Times Union reported. "The first responders broke some windows [on the vehicles] to try to get people out," said Finnegan. "I believe the Jaws of Life were here on the side of one of the fire trucks." Authorities said autopsies were being performed and didn't release names of victims or speculate on what caused the limo to run the stop sign. The National Transportation Safety Board is investigating. At the news conference, Fiore didn't comment on speed, or whether the occupants of the vehicle had been wearing seat belts. "This is one of the biggest losses of life that we've seen in a long, long time," NTSB Chairman Robert Sumwalt said at the news conference. 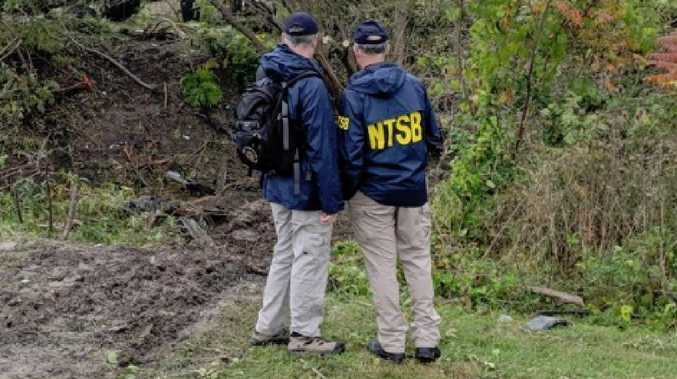 It's the deadliest transportation accident since February 2009, when Colgan Air Flight 3407 crashed in Buffalo, New York, killing 50 people, Sumwalt said. And it appears to be the deadliest land-vehicle accident since a bus ferrying nursing home patients away from Hurricane Rita caught fire in Texas 2005, killing 23.